Due to the enormous queue and security checks, I did not get into the Apollo until after the first support band, REWS, had left the stage. I took my seat to watch Avatar having heard good reports from some friends who had attended the show in Sheffield a few days earlier. To be honest, had I not been reviewing this show I may well have given the band a miss, which would have been a real shame as they put on quite a performance. Fairground music signalled the start of the show with the large Avatar logo lighting up (similar to KISS) as the four band members hit the stage (bass player Henrik Sandelin was missing due to personal reasons). They were all dressed in the same uniform which included smart black tunics with a yellow flash. 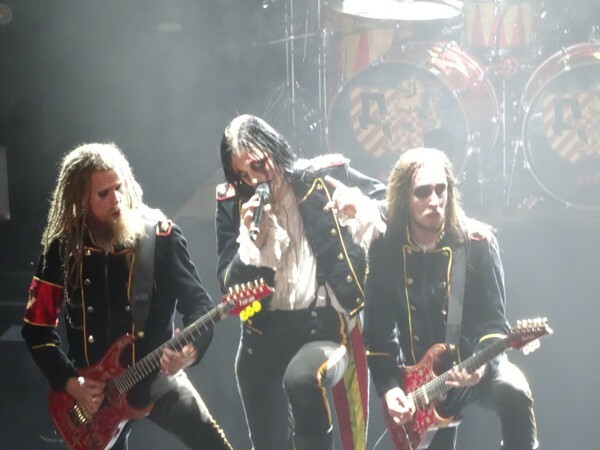 Lead singer Johannes Michael Gustaf Eckerström also wore face paint, a top hat and carried a cane similar to Alice Cooper. 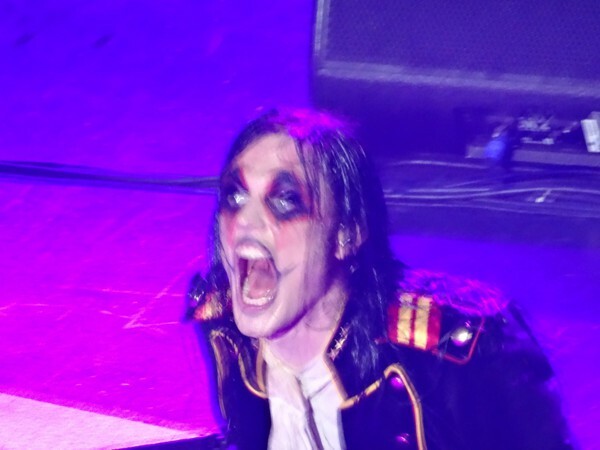 Like Cooper, he was also quite the showman and his onstage persona appeared to be the result of Dr. Jekyll mixing the DNA of Cooper, Ozzy Osbourne, Paul Stanley, Justin Hawkins and Corey Taylor. The initial growling vocals in set opener 'Hail The Apocalypse' fortunately did not persist throughout the whole song or indeed the rest of the show. The sound was loud but excellent, especially the drums of the mohawked John Alfredsson. The early aggression was maintained with songs like 'Paint Me Red', 'Bloody Angel' and 'Let It Burn', the latter saw guitarists Kungen (looking like a cross between your archetypal Viking and Predator), Tim Öhrström and front-man Eckerström spinning their long hair in synchronisation. Personally, I enjoyed the (slightly) more melodic tunes of 'A Statue Of The King' and 'The King Welcomes You to Avatar Country'. Following a drink from an oil can, Eckerström thanked the enthusiastic crowd for coming out early to see the support bands before Avatar concluded with 'Smells Like A Freakshow'. It was great to see a band put on a proper show and not just turn up, plug in and play. 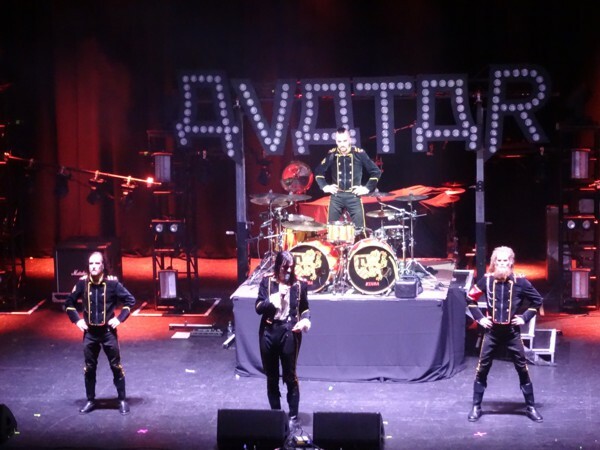 Avatar certainly won a lot of new fans based on this evening's performance and crowd reaction; an abject lesson to any band on how to put on a spectacular show. As AC/DC's 'Highway To Hell' was cut short, Halestorm hit the stage to a hero's reception and ripped into 'Skulls', a track from their latest album 'Vicious'. The non-stop flashing of lights, including strobe lighting, accompanied by an incredibly loud volume (a touch too loud) made it, at times, an uncomfortable watch. 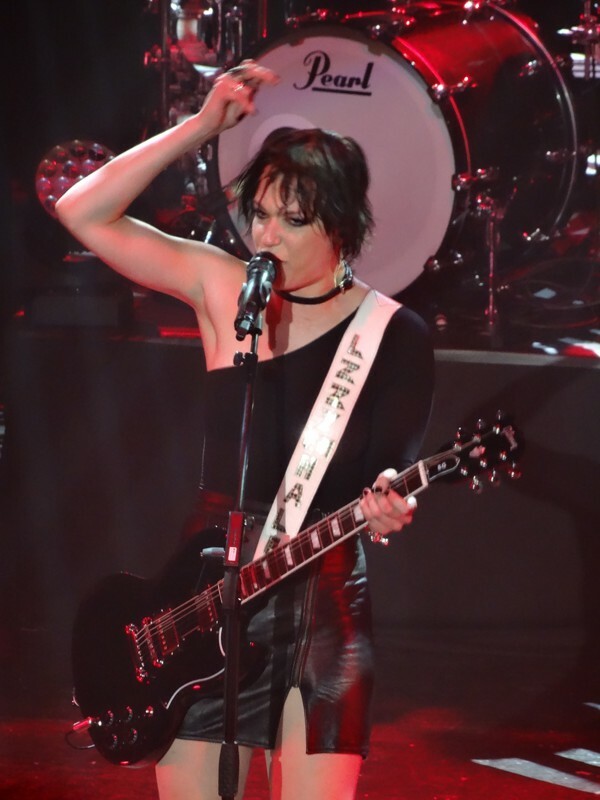 Lzzy Hale, with her short, cropped hair, tasseled leather jacket, ultra-short leather miniskirt and phenomenally tall high-heel boots alongside a voice that should carry a health and safety warning, was the obvious focal point for the band. The ferocious start continued with 'Mz. Hyde' and 'Love Bites (So Do I)'. 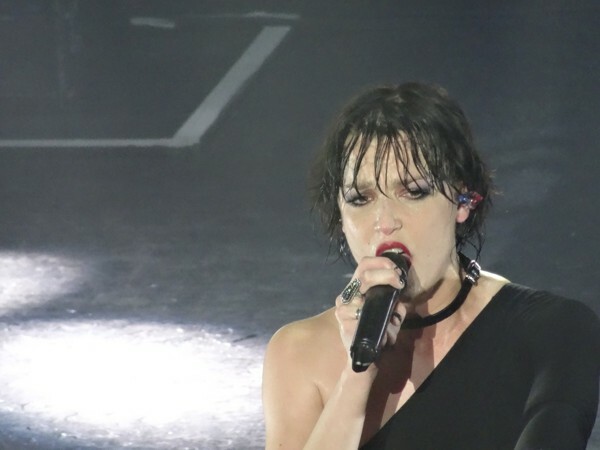 Always one of the high-points of any Halestorm show is the awesome 'I Am The Fire' where you honestly fear for Lzzy Hale's vocal cords due to the power and emotion she put into this song. The powerful 'Apocalyptic' preceded the A Capella intro of 'I Get Off' which then led into the lyrically perturbing 'Do Not Disturb'. 'Amen' also featured further crowd interaction. Such is the prowess of Lzzy Hale, guitarist Joe Hottinger and bass player Josh Smith almost blend into the background. 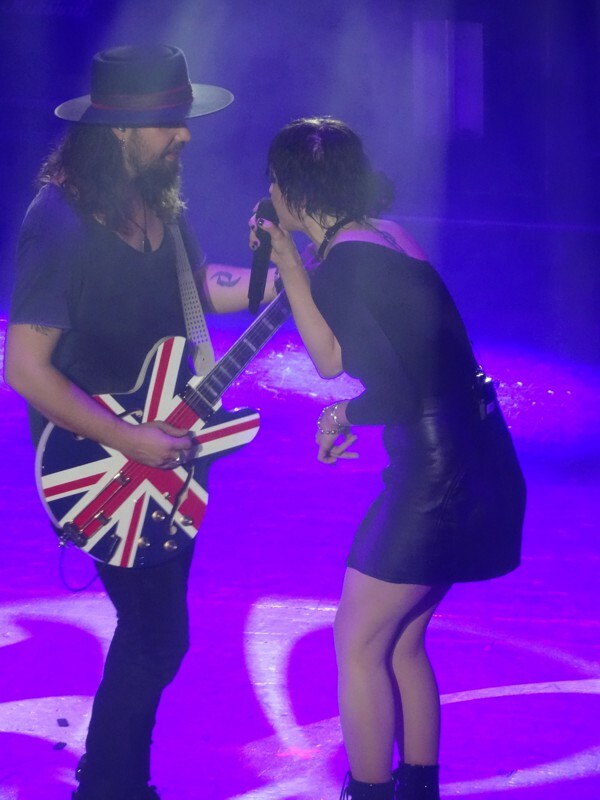 Lzzy Hale frequently went up to both band members, particularly Hottinger, to ensure that they do get to share some of the limelight. Just under half the set was taken from the latest studio album, the aforementioned and appropriately titled 'Vicious'. The paradox is not lost on me with Halestorm having a song called 'The Silence'. 'Black Vultures' and the title track highlight just how heavy their latest opus is and this facet appeared to be a real plus-point to the Metalheads in attendance. Lzzy Hale's little brother Arejay Hale produced an entertaining drum solo, especially when he used his three foot-long sticks! The band then returned for the fan favourite offering 'Freak Like Me'. I enjoyed set-closer 'Killing Ourselves To Live' which seemed to have a bit more melody than most of the pure Metal tracks. The band left to guitar feedback but returned a few minutes later for a three-song encore that started with 'Uncomfortable' (which is already a Halestorm classic). 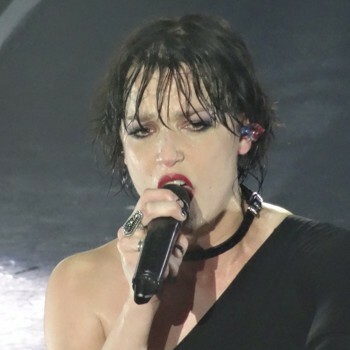 Over ninety minutes later and Lzzy Hale was still screaming out the vocals with the impressive 'I Miss The Misery', a song that also included an extended outro jam. 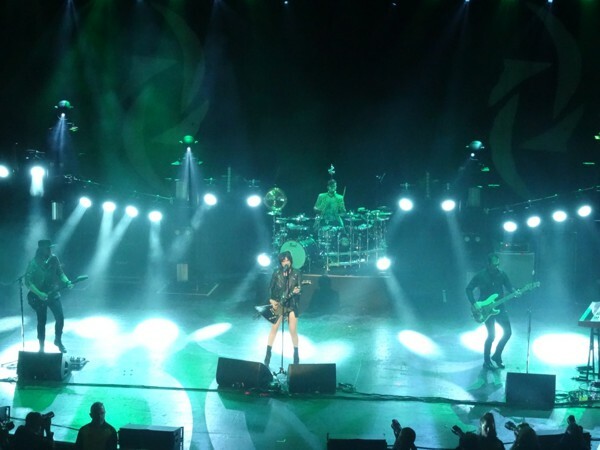 That just left Lzzy Hale to thank the crowd for turning up for their first UK headline tour, and they then proceeded to conclude with 'Here's To Us'. I was probably in the minority, but I wish the volume had been turned down ever so slightly and Lzzy Hale sang a bit more, rather than scream the lyrics; however, she's definitely got the ability! Despite the latter, I predict that Halestorm will reign supreme in the Metal genre for years to come, and will be headlining arenas and major festivals within the next couple of years.